LOOK NO FURTHER - YOU'LL LOVE THIS ONE SO SEE IT NOW AND YOU WON'T BE DISAPPOINTED!! !THIS HOME IS MOVE IN CONDITION WITH LOTS OF UPGRADES!! BEAUTIFUL KITCHEN FEATURES 42 NATURAL WOOD CABINETS, CORIAN COUNTERS, STAINLESS STEEL APPLIANCES, AND LAMINATE WOOD FLOORING - UPPER LEVEL HAS ALL LAMINATE WOOD FLOORING!! ALL BATHROOMS ARE FABULOUS!!! DINING ROOM CAN ACCOMMODATE YOUR SPECIAL GRANDMOTHER'S SET!! INTERIOR DOORS HAVE BEEN UPDATED, WINDOWS AND SLIDING DOOR HAVE BEEN REPLACED, AND MUCH MORE!! GREAT DECK IN PRIVATE BACKYARD COMPLETE WITH A SHED FOR YOUR GARDENING TOOLS! REALLY NEAT TILE FLOORS AND WARM COLOR WALLS MAKE THIS A SPECIAL HOME. EASY WALK TO EASTPORT, DOWNTOWN, PARKS AND THE WATER. COMMUNITY FEATURES A POOL AND PLAY AREA. YOU WON'T WANT TO MISS THIS ONE! !JUST PACK YOUR BAGS AND MOVE IN!! 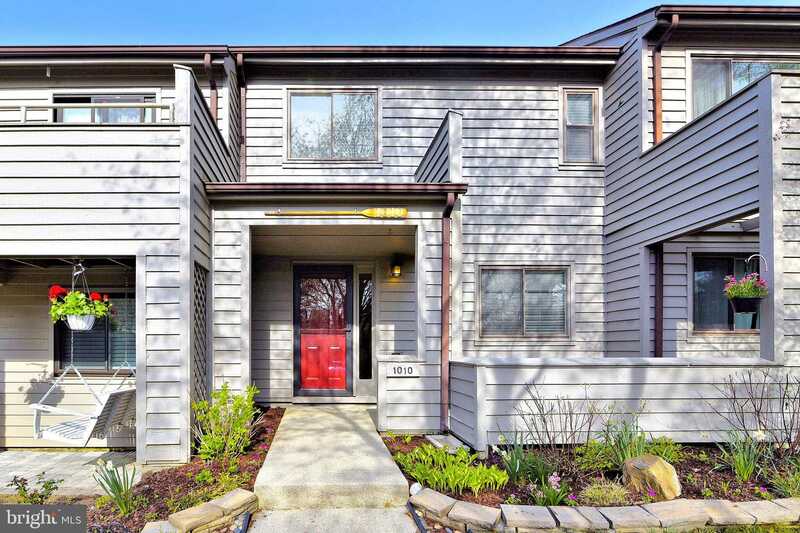 Please, send me more information on this property: MLS# MDAA395102 – $255,000 – 1010 Cedar Ridge Court, Annapolis, MD 21403.